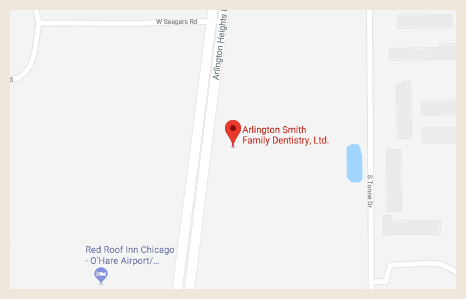 Arlington Smith Family Dentistry encourages you to contact us whenever you have an interest or concern about any of the dental procedures or services that we offer. We hold evening and weekend hours to accommodate your schedule. You may contact us by calling our office or filling out the form below. Please note this form is for requesting an appointment. If you need to cancel or reschedule an existing appointment, or if you require immediate attention, please contact our practice directly at (847) 357-3899.